Woo hoo! Here is my progress so far on my new Dragon Quilt! The plan is for 3,942 1/2″ hexagons to complete the image. 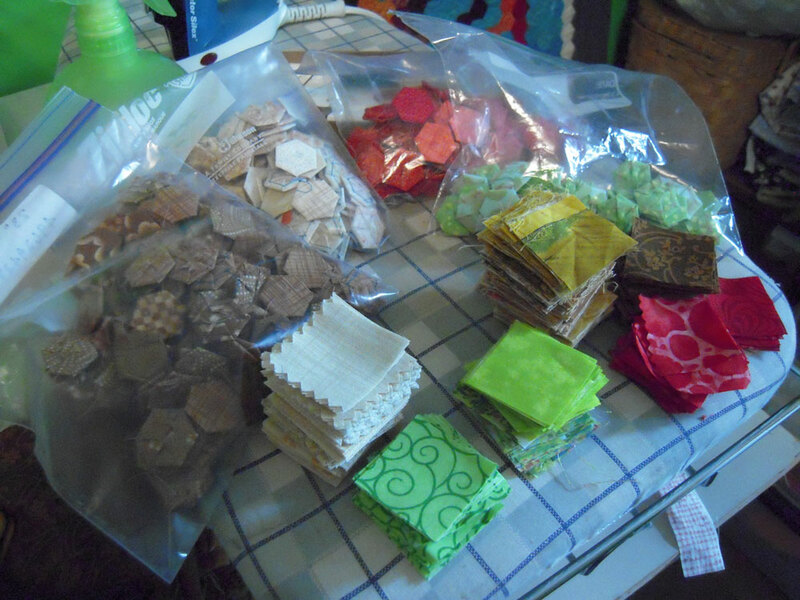 I completed 432 in a week ~ so if all goes well, in 10 weeks I’ll have all the pieces made. Then I’ll put them all together and try to have this finished by the end of 2012 since it’s the year of the dragon! 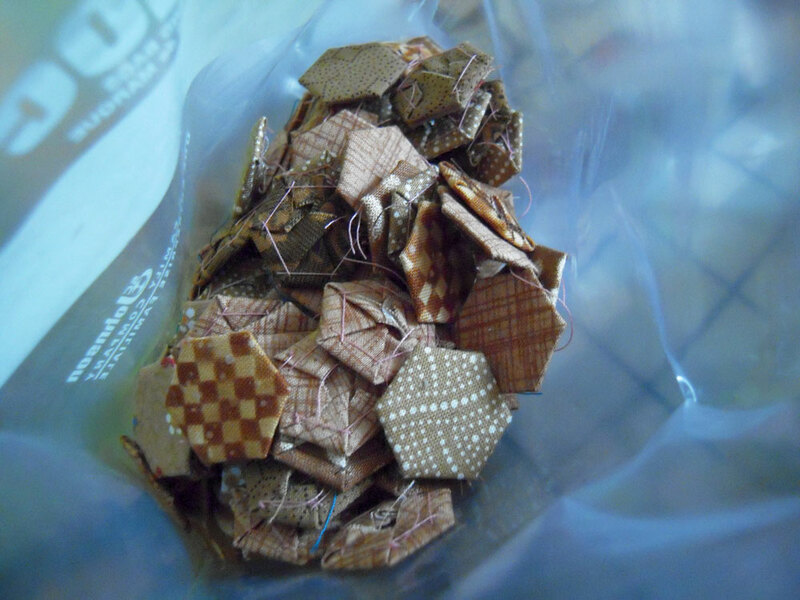 The dragon will be a wood-dragon, so all the colors will be earthy, the background will be browns and golds ~ here are some brown hexies. Aren’t they just so cute! I’m TOTALLY addicted. Tonight is the PMQG meeting and I’m pretty excited about it, I have 2 quilts to show!! One is the Villa Villa Kula quilt I posted earlier… and the other is a baby blanket for my friends new daughter, Ona. I’m really super happy with my free-motion-quilting on that project. 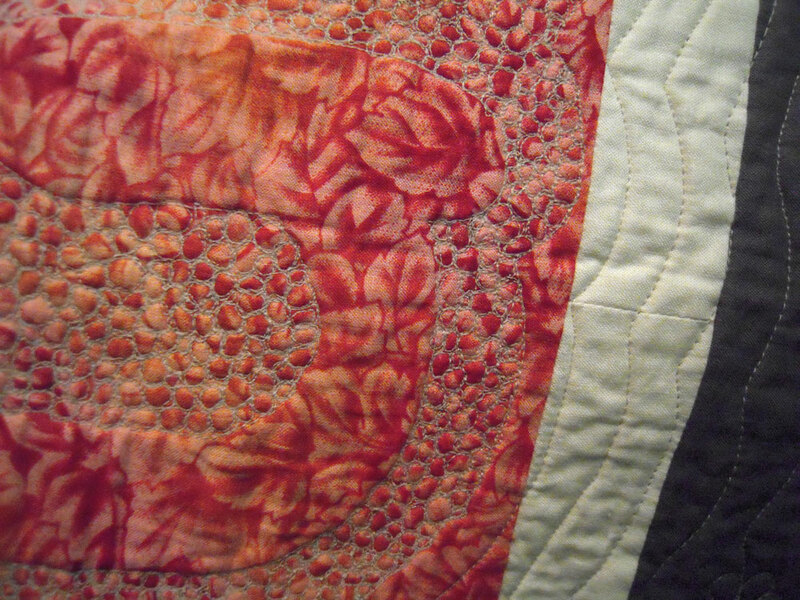 Here is an up close shot, I’ll post more as soon as I have good photos of the finished quilt. See all you locals at the meeting tonight ~ YAY! Wow!! You are on ambitious lady! I can't believe your hexagon madness! You're amazing! Previous PostPrevious Dragon Quilt Start!